An impressive, solid, heavy bangle handmade in the West Country! 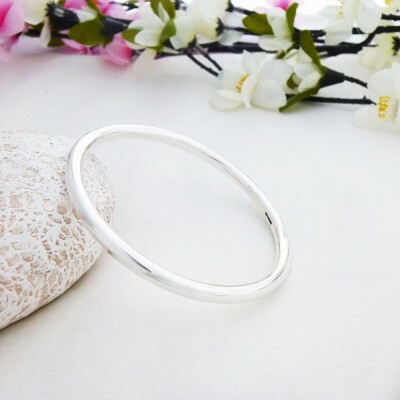 We love the Isabeau Silver Bangle and so do our customers. 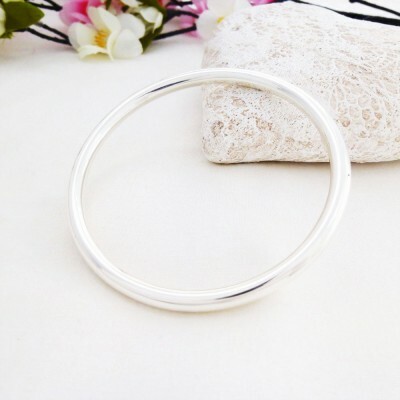 This bangle is one of the most popular solid silver bangles in our exclusive range. It boasts a beautiful round cross section and looks amazing on! 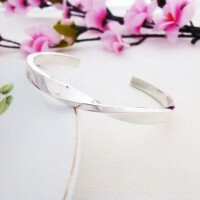 You will not be disappointed with this gorgeous sterling silver bangle, it is hallmarked and has a beautiful elegance about it. The Isabeau Bangle is just the most perfect gift for your loved one, the simple design and quality of this bangle is just gorgeous and undeniably glamorous. 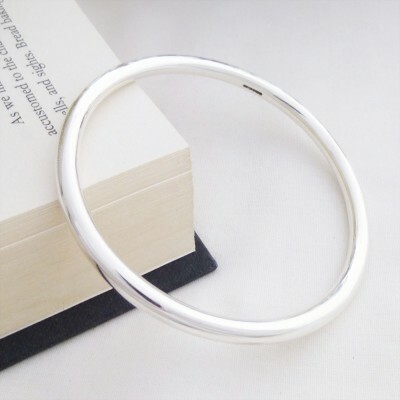 The Isabeau Solid Silver Bangle fits most medium sized wrists and the internal diameter of this bangle is approximately 63mm wide. 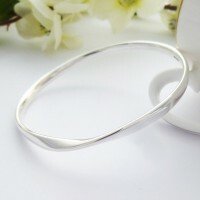 The thickness of the bangle measures approximately 5mm wide. Subject to availability, the Isabeau is available in small wrist, regular wrist and large wrist sizes. The internal diameter of the Isabeau bangle measures 63mm wide. 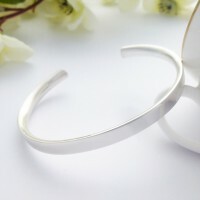 The approximate weight of this bangle is 40g.